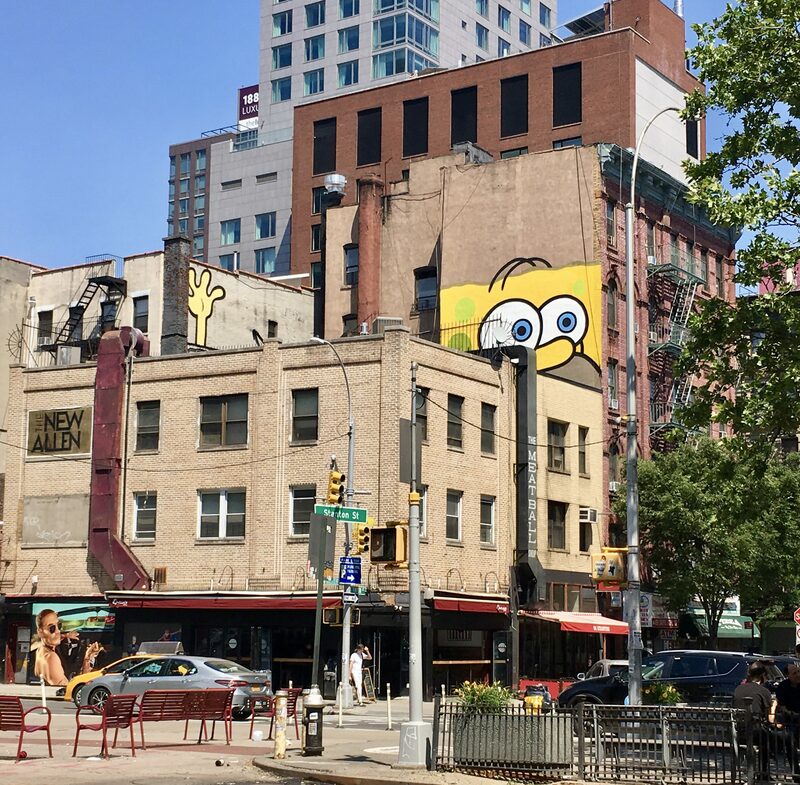 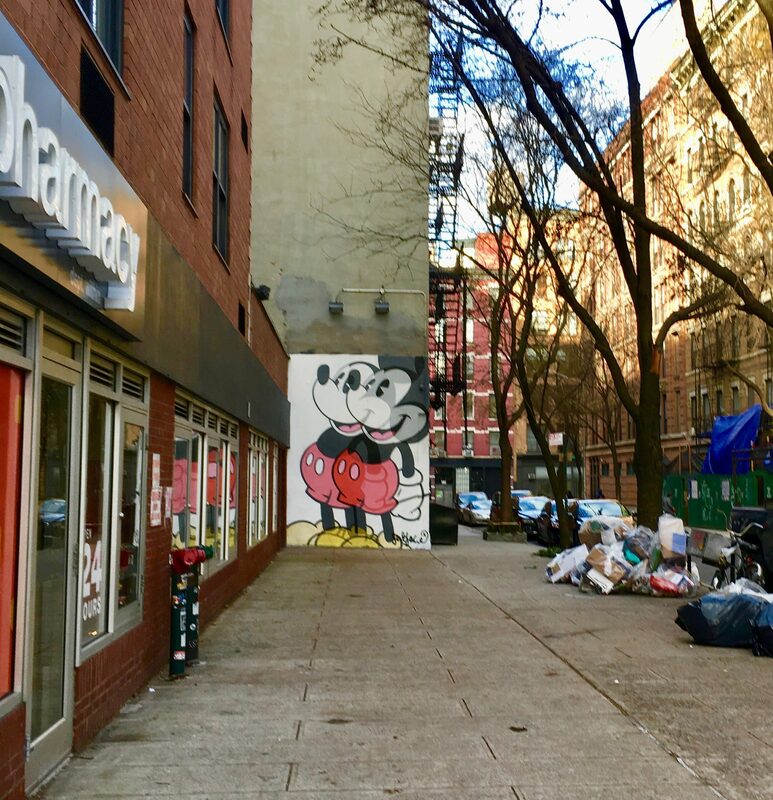 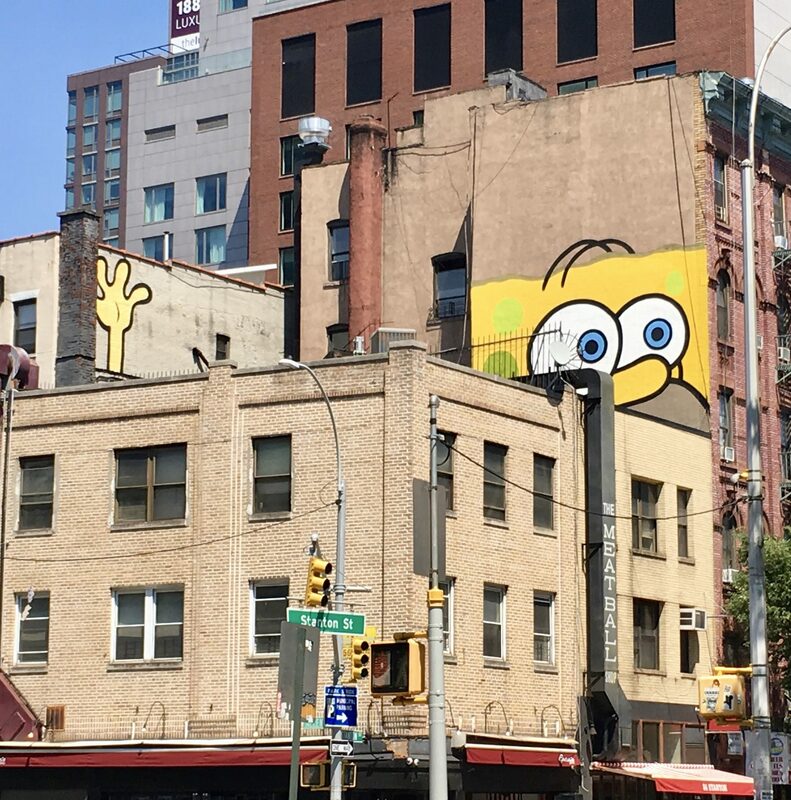 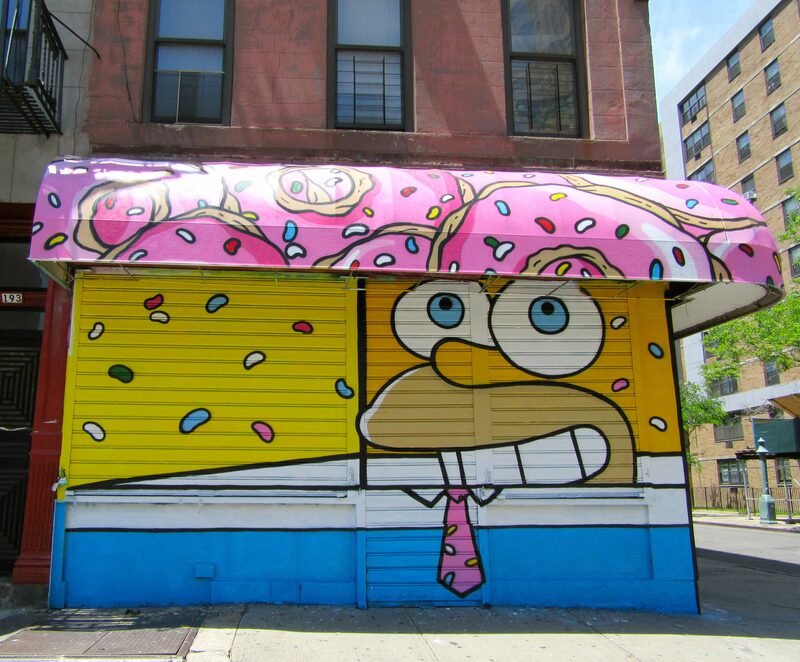 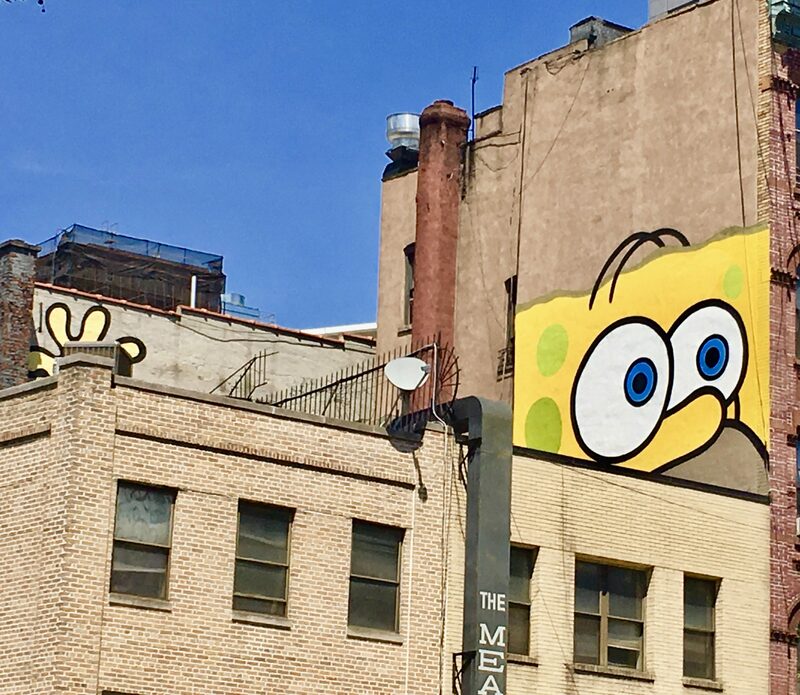 Homer Simpson dreams of donuts that rain sprinkles down on his head in this fun mural on the front of an East Village bodega, painted by street artist Jerkface. 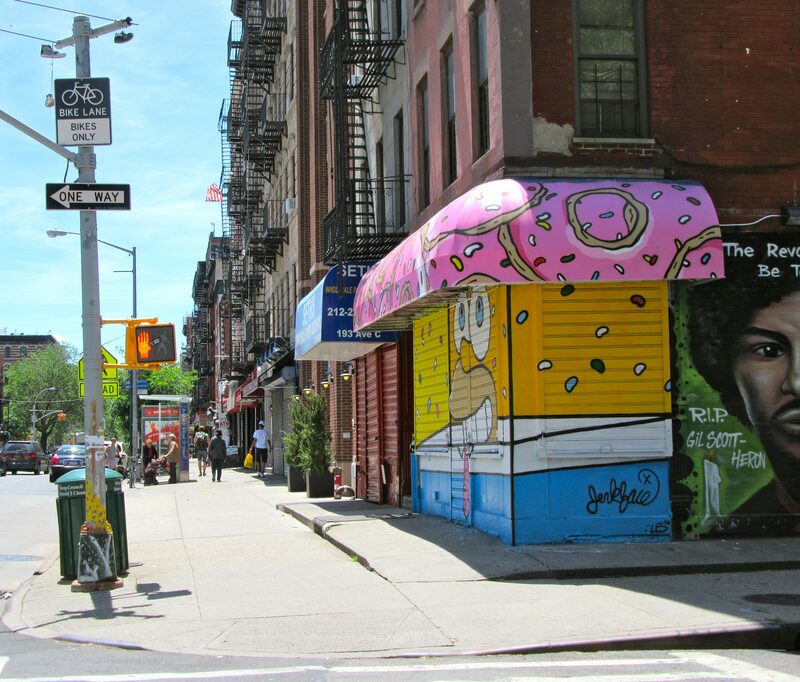 Located on Avenue C at the corner of 12th Street, just cross from the C Town Market. 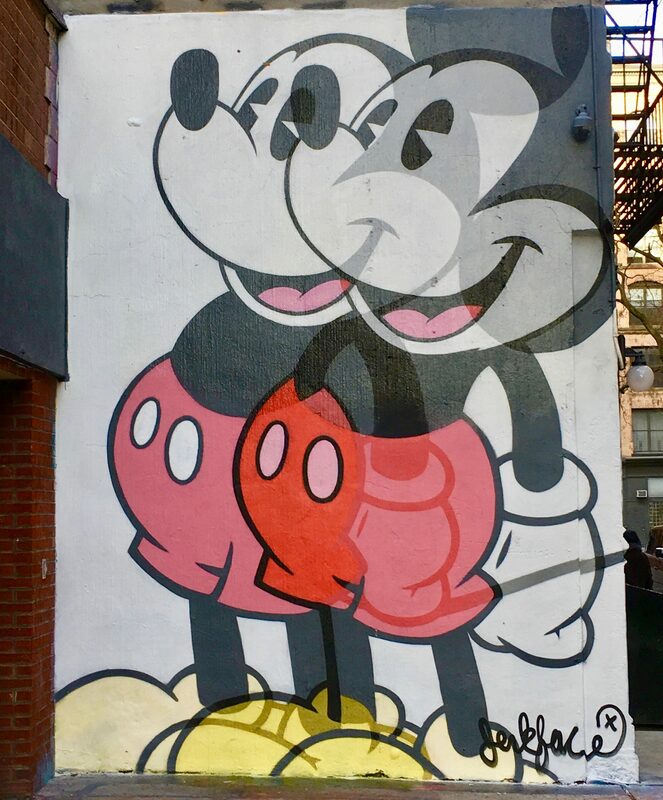 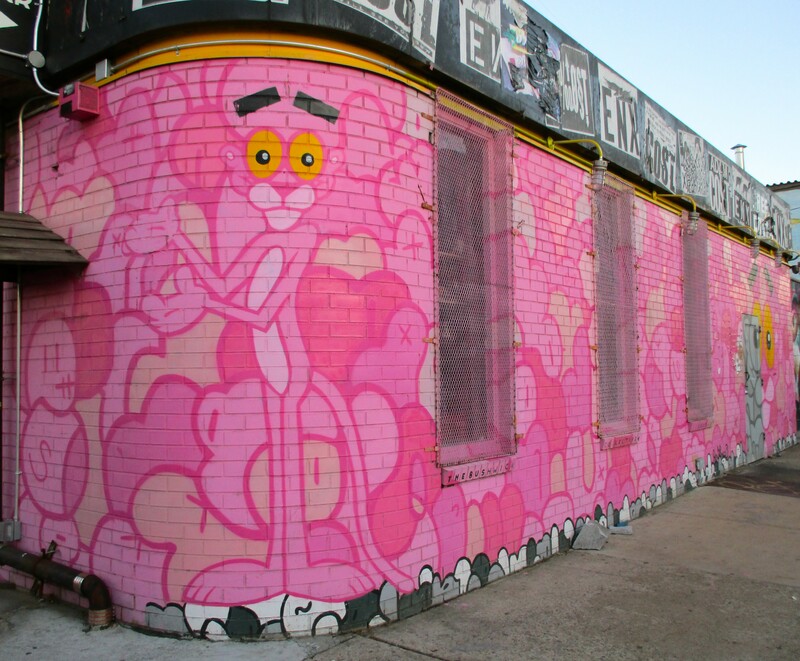 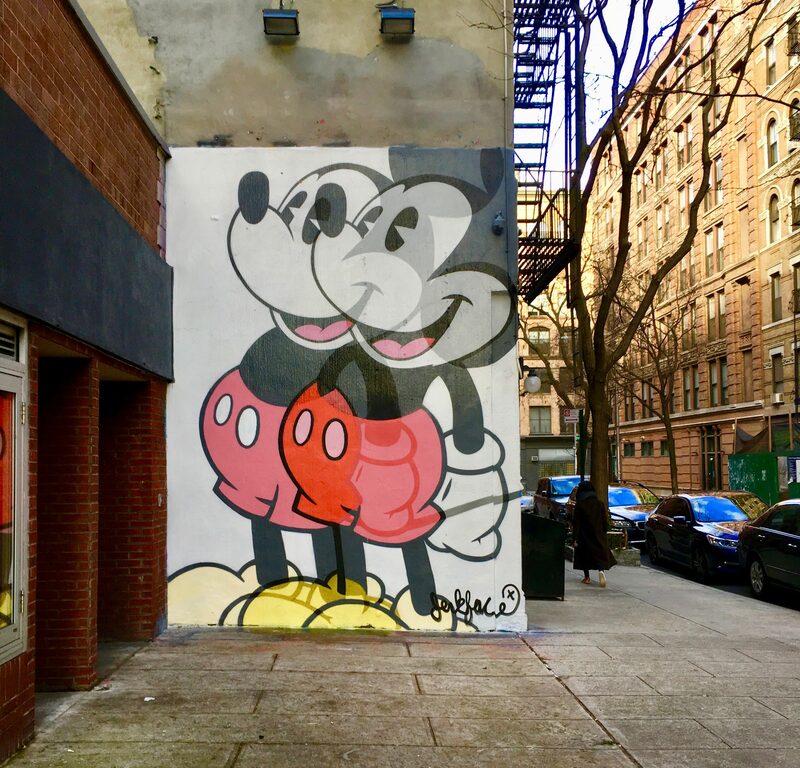 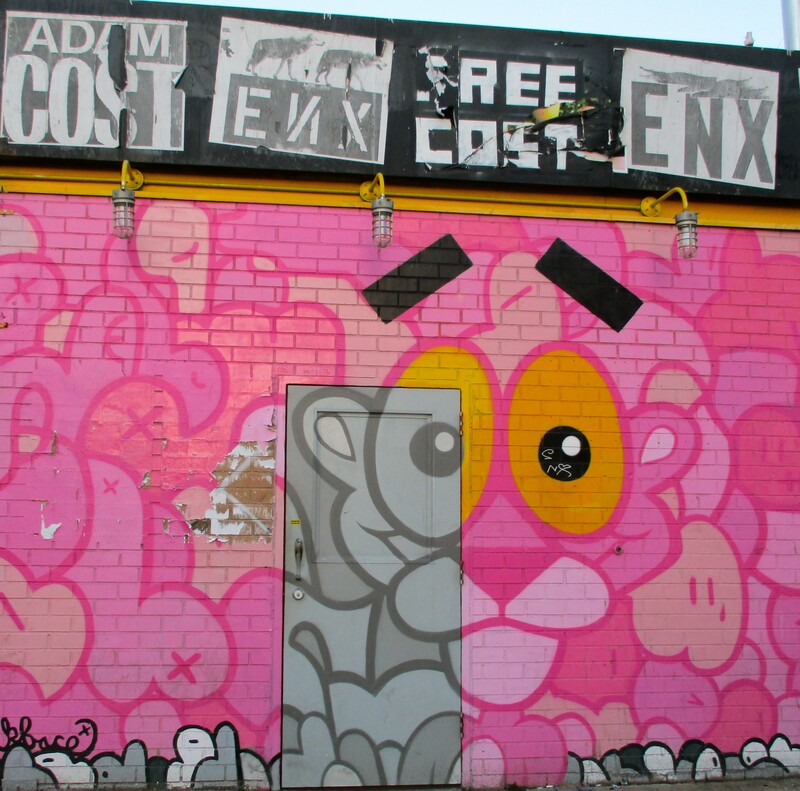 This delightful Pink Panther Mural by the Queens-based street artist known as Jerkface was photographed by me on Morgan Avenue between Ingraham Street and Johnson Avenue in Bushwick, Brooklyn. 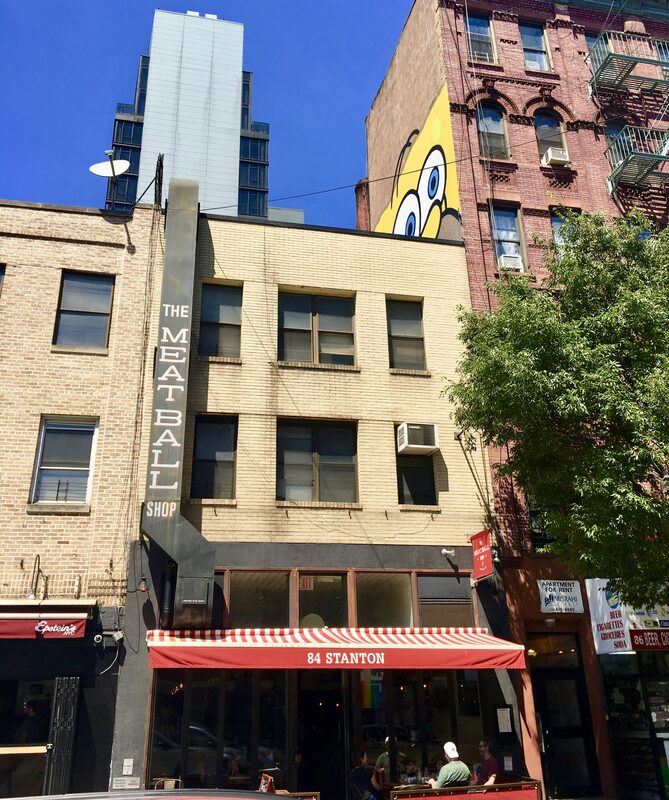 Signage indicates that the building houses Max Cellar, a new music venue located in the basement below the now closed Amancay’s Diner. 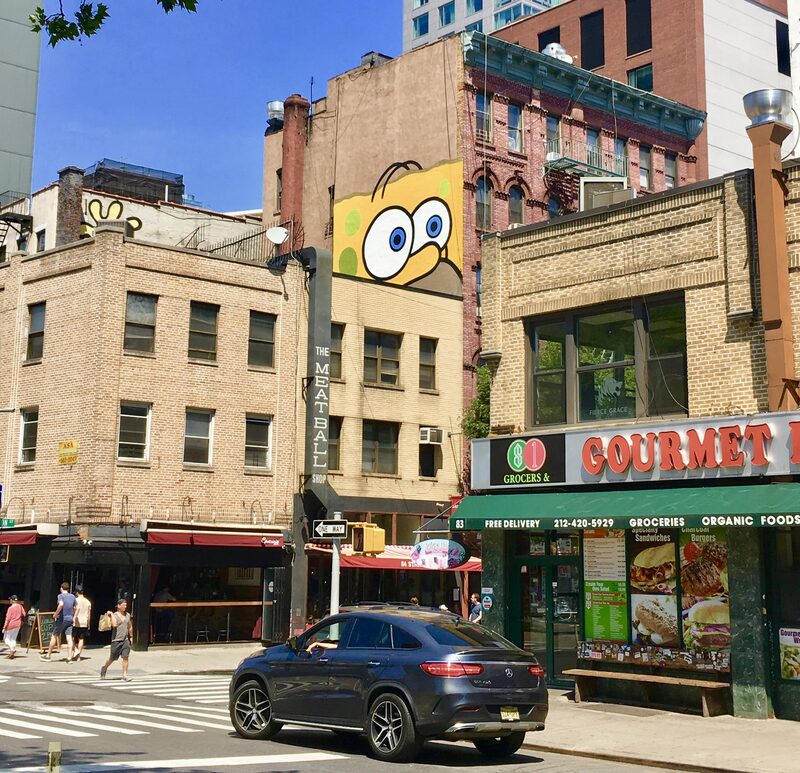 The front entrance of the building is at 2 Knickerbocker Ave.